The beautiful video that tells the Ashtanga Yoga Story in Milan! Happy Holidays to all those who will go on holiday and for those who will stay in Milan you know where to find us! The new season started and we are all happy to welcome you back to our beautiful Yoga Shala. This new season will be full and beautiful, we will have many interesting things to share and lots of new things to experience. As always we will do a great job together and we are waiting for you to enjoy the benefits that Yoga has the power to give to all of us practitioners. Below you find all the information about our courses, timetables, different frequency modes and contributions. 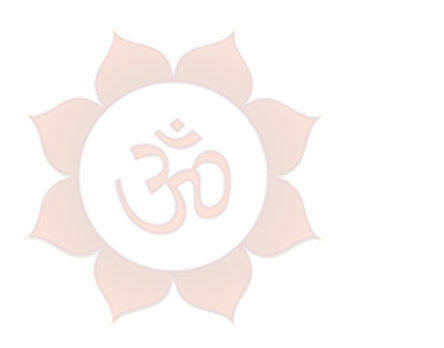 We look forward to sharing with you our passion for Ashtanga Yoga. LA YOGA SHALA is open from 6.15 a.m. every morning from Monday to Friday with the possibility of entrance until 9.00 a.m. Led Classes in the morning during week-days are MONDAY, TUESDAY and THURSDAY at 9.00 a.m.
New cycle of 12 classes for very beginners! Dedicated to those who want a slower and more gradual approach with practice. At the end of the 12 lessons the students have reached a level that will allow them to follow and attend with confidence gained the led class. Requested continued participation in class throughout the period specified above. To attend the course you need to book in advance, giving name, email and phone number. This course, for the type of organization, it is not refundable. It is possible to come to the first lesson without the commitment of the entire cycle by paying the class individually, and if you decide to keep on than you will pay the difference due. In case of missed classes, can be retrieved by attending any weekly led classes during the course or within two weeks after the last day of the course. It is mandatory to provide a medical certificate. After this course, you will be able to participate freely in class as scheduled during the week (see below). Will only be required to register for the annual subscription (one-off) of 30€ that will last 365 days (starting from the first day of the course). This class is aimed at experienced students who practice constantly and beginners who are interested in deepening their experience of Ashtanga Yoga. No for absolute beginners. The class is conducted by counting the correct Vinyasa (breath and movement in coordination) of the whole sequence of the First Series. The rhythm of the practice will be emphasized as it should be and that slowly it will have to be achieved in one's own personal practice. Restorative Yoga is an extraordinary form of passive yoga helped by typical yogic supports (props), which allows you to enter a state of deep relaxation. You will be able to maintain the position thanks to the comfort given by the props: this allows to achieve a physical, mental and emotional relaxation of great depth! - Morning Admission from Monday to Friday from 6,30 till 9,00 a.m. Practice has to be finished no later than 10,30 a.m.
- Afternoon Admission Monday to Thursday from 6,30 p.m.
till 7,00 p.m. on Tuesday and Thursday - Practice has to be finished no later than 8,30 p.m.
till 7,30 p.m. on Wednesday - Practice has to be finished no later than 8,45 p.m.
till 8,00 p.m. on Monday - Practice has to be finished no later than 9,15 p.m.
CARNET 10 LESSONS € 150 for a period of 3 months (only for members and enrolled). Classes are not obliged to attend (apart from the cycles of pre-defined lessons). You can freely come to the lessons you want, without the commitment of a day or a chosen time. What is important is the number of classes attended in a solar month (September, October, November, etc.). To access the lessons, membership and registration at LA YOGA SHALA Ssdarl are required. The total cost is € 55 (€ 25 for the membership valid for the current academic year, September 1 - August 31, and € 30 for the annual subscription to the courses valid for 365 days): makes a member of La Yoga Shala, gives insurance coverage and the possibility to access all the activities organized by La Yoga Shala for the academic year 2018-2019. The medical certificate for non-competitive sport activity is mandatory. It is important to know that no advance payment is required for more-months or annual rates; payment is required at the beginning of the month of what is assumed to be done in the current month and in the end you will always pay only what you it is actually attended on a monthly basis. This is an example to make this principle clear: if at the beginning of the month 8 lessons have been assumed and paid, whose cost is 95 €, but only 4 have been attended, the frequency will have cost € 65 and the difference with what was paid at the beginning € 30, will be recognized as a credit for the following month. It is natural that the more classes you attend in a month, the less they come to cost individually. The remaining credits of the lessons not used will be recognized within 6 months after the last lesson. Those who want to try a lesson (Mysore Style or Led Class), can come directly to La Yoga Shala in the chosen timetable; the class will be paid as singolar one € 18 and if you decide to continue, the next time the membership and subscription will be formalized and the previous lesson will be counted together with the monthly attendance. Students from outside Milan are welcome: in this case, for a one-off class, membership is not required.